Did you know you can have a more spacious split king size mattress with just two XL twin size beds? Well, you can, and it only takes a few simple steps. Follow our step-by-step guide to turn two XL twin size mattresses into a king size bed. Start with Two Twin XL mattresses. Two twins make a king, but not just any twins will do. A standard king size mattress is 76 inches wide and 80 inches long. A standard twin bed is 38 inches wide and 75 inches long. And while it would be easy to simply put two standard twin mattresses together, this presents a problem: You’ll end up with a perfect fit width-wise, but the bed will be a whopping 5 inches shorter in length. The easy solution to this conundrum is to use two XL twin beds which, at 80 inches in length, will be exactly the same length as a king size mattress. This means any standard king size sheets will be a perfect fit and no one’s feet are left to dangle. Check your width. A standard XL twin mattress is 38 inches across. A few twin mattresses, however, are 39 inches across. 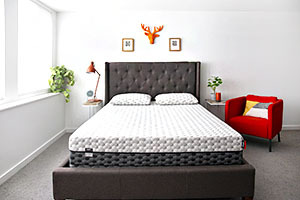 While standard sheets (both king and XL twin) will fit either of these mattress sizes, it’s essential to measure your bed frame(s) or platform to verify the mattresses will fit. The key to a comfortable king is finding two mattresses with uniform thickness. This way, when putting them side by side, you are ensured a level sleep surface. No one wants a “bump” in the middle of their bed! And now that we’ve got all of that out of the way, it’s time to build your ideal bed! While this hack will work with any mattress, we’ll start by using the Layla mattress as an example. Get Two Firmness levels with One Bed. 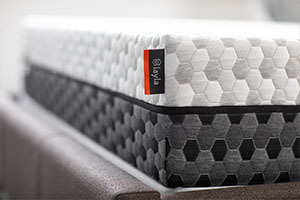 Consider which side of the bed you usually sleep on, and which side of the Layla mattress you prefer. With Layla’s Flippable Firmness, one of the sides is guaranteed to be your perfect match. 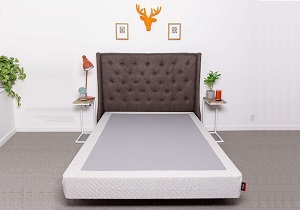 Fit your mattress, comfortable side up, on your side of a king size bed base (a king size platform, king size bed frame or two XL twin bed frames). 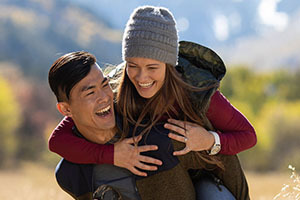 Have your partner do the same with their side, choosing the mattress firmness level they prefer. You now have a standard king size bed with varying levels of firmness for the uncompromising couple! Two Twins make a king with a gap, but they don’t have to. Insert a bed bridge between the two mattresses. 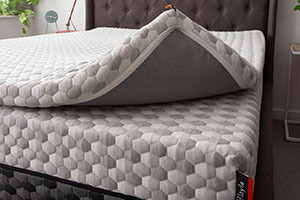 Widely available online, a bed bridge is designed to fill the gap between the two beds and provide an even sleep surface, identical to what you’d get in a regular king size mattress. 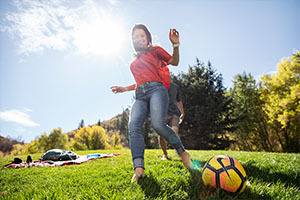 While you may be tempted to skip this step, we strongly advise you don’t. 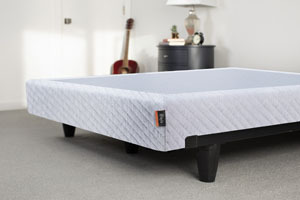 The bed bridge is the key to making your XL twins feel like a true king, as opposed to two twins put together. Know you know what Joan of Arc felt like when she made a King, but you didn’t have to fight a single battle. Now you can enjoy a deep, restful sleep in your new, more spacious, bed! Your two twins make a king size mattress that would make royalty proud. You don’t want to compromise a good night’s sleep. By turning two XL twin size beds into one spacious king size mattress, now you don’t have to. For an even better good night’s sleep, add a new memory foam mattress instead.